First published in Socialist Worker. Zach Zill contributed to this article. 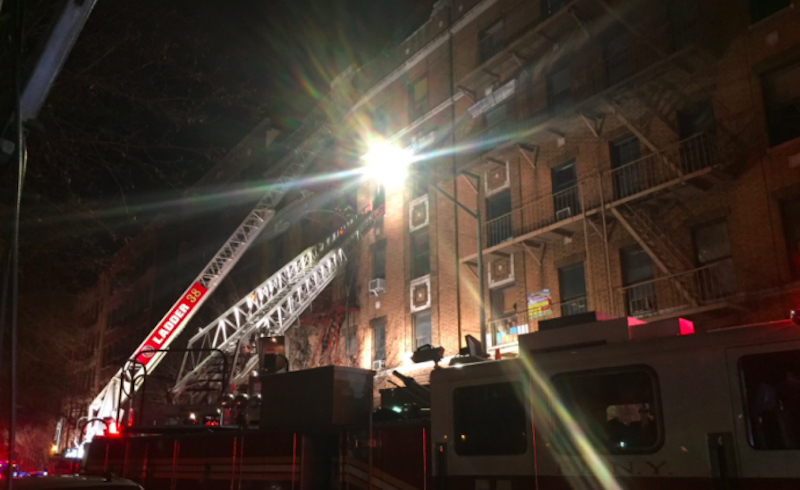 The deadliest fire in recent New York City history killed four children and eight adults in a Bronx apartment building last Thursday night [December 8]. Among the dead were Karen Stewart-Francis, her two daughters — 2-year-old Kiley Francis and 7-year-old Kelly Francis — and her niece, 19-year-old Shawntay Young. Stewart-Francis' husband, Holt Francis, is surviving on life support. De Blasio was lying. The truth is that New York City and the real estate interests that run it decided long ago that Karen, Kiley, Kelly, and Shawntay's lives were worth gambling with — and that it is perfectly acceptable for working-class Bronx residents to burn alive in their homes if it means more profit for the super-wealthy. By law, however, the apartment building was required to have self-closing, fireproof doors — because fire safety shouldn't depend on the split-second decisions of panicked parents trying to save their children. More than half of New York City renters pay more than they can afford in rent, and 44 percent of New Yorkers live at or near the poverty line — disproportionately women and people of color. Homelessness in the city is at its highest levels since the Great Depression, with almost 130,000 people sleeping in shelters in 2017 and thousands more living on the streets. As this article was being written, survivors of the fire in Belmont are sleeping in a local high school, mourning their loved ones and wondering where they will go next — in a city where half of Midtown's luxury apartments, including more than half of the apartments in Trump Tower, sit empty, owned as investment properties by the global ruling class.